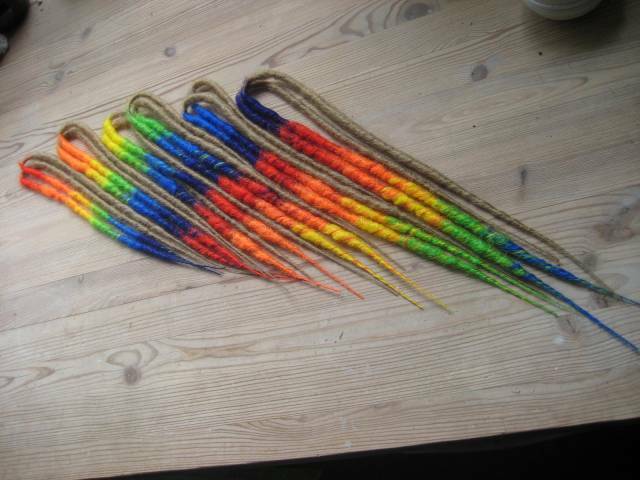 I couldn't say no to this project; 12 rainbow harletrans - dark blond/6xtransitional rainbow in altering colours, so that she would have two tips in all the colours to spice up her natural blonde dreadkit. Can't wait to install these. Love them! That is a lot of hard work. o.o Wow. I love that they alternate in length and colors. Can't wait to see what they look like installed. Love them! There's no way on earth I'd have the patience to do something like this. You are AMAZING at this. 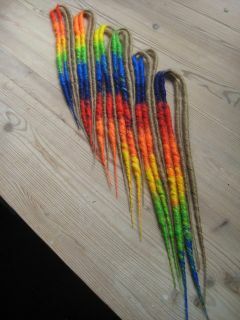 Can't go wrong with rainbow!